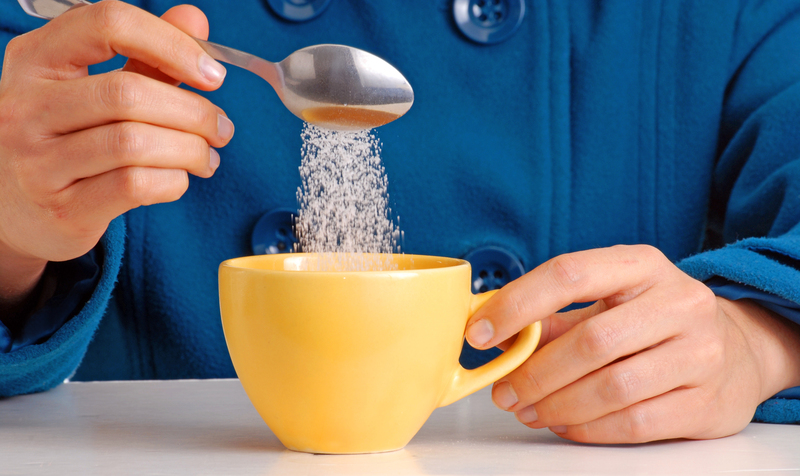 Do you know how much sugar these popular drinks contain? HomeBlogDo you know how much sugar these popular drinks contain? As part of National Smile Month we looked into how much sugar is in some of the drinks we consume. We analysed a few popular soda drinks including Ribena and Coca-Cola, energy drinks such as Red Bull and fruit juices Innocent & Robinsons Fruit Shoot. Our findings were quite surprising as to the amount of sugar contained in each of these drinks. We therefore decided to show our patients visually how much sugar was contained in each bottle and to make them rethink their drink choices. Our display board shows the amount of sugar in each bottle of popular drinks. Soft drink consumption is one of several leading causes of tooth decay. Carbonation, sugar and acids in soft drinks weaken tooth enamel and encourage the growth of bacteria, which in turn contributes to tooth decay. Tooth decay happens when sugar combines with bacteria in the mouth and produces acid, which attacks your teeth. Continuous exposure to acid then further weakens and erodes the tooth enamel, allowing for cavities to develop. At Roy Morris Dental Excellence, we offer routine cleanings and regular checkups for our patients to maintain a good oral health. Our team also provide a wide range of dental treatments to fit almost any need. Contact us today if you would like to enquire about our treatments or book an appointment with us.